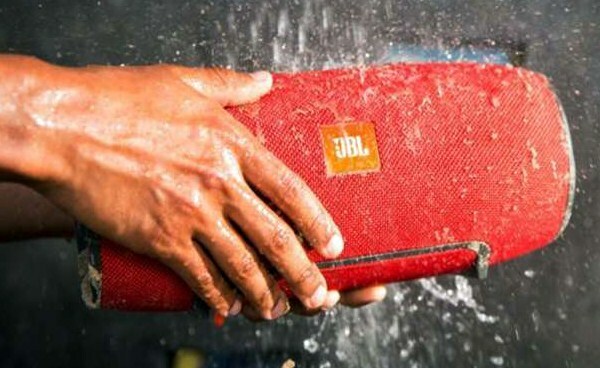 Hay Bro Sis...Audio company from the United States (US), Harman brings Xtreme JBL speakers with a variety of advantages. In addition to having a promising sound quality, this Bluetooth speaker also waterproof because of a special rubber coating protected. JBL Xtreme is equipped with four active transducer and two bass radiator that makes the listener can feel jarring sensation when listening to music. "This product is a portable speaker that is the most powerful in its class. There are many interesting features that will produce outstanding sound," said President Lifestyle Audio Division Harman, Michael Mauser at the launch of the latest JBL 7, Tuesday (13/10/2015). Manufacturers from the land of Uncle Sam also equip multiple external passive radiator that makes the listener can feel the power of the bass Xtreme feature. Speaker is priced Rp3.999.000 with three variants of colors, namely black, red and blue.